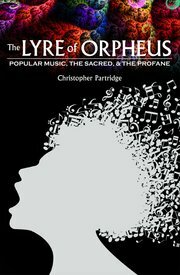 For the website Marginalia | LA Review of Books, I wrote a review about Christopher Partridge’s The Lyre of Orpheus: Popular Music, the Sacred, and the Profane (OUP 2013). It was published online on June 9, 2015. In the song Irreplacable (2006), Beyoncé puts her lover’s possessions in a box and moves it to the left. He should never think he couldn’t be replaced by a new love interest. In religious studies, the realm of the left is associated with the taboo and the evil spirited, while the realm of the right is the domain of the celebrated and idealized. That which is celebrated is under continuous threat of the taboo, having the power to contaminate, challenge, or even replace the celebrated. Both realms are set apart from the everyday life. The celebrated has to be cherished and protected, while the taboo has to be kept at a distance and fought at length. These domains are crucial features in the conceptual understanding of the sacred: the former is called the pure sacred, the latter the impure sacred. In his book The Lyre of Orpheus, religious studies scholar Christopher Partridge explores the theoretical potential of the sacred in relation to popular music. But it is definitely not Beyoncé’s music he is after. To continue reading the review, follow this link to the website of the Marginalia Review of Books. Book Cover Christopher Partridge, The Lyre of Orpheus. Popular Music, the Sacred, and the Profane (Oxford: Oxford University Press, 2013). This is a most interesting, thoughtful, and well-written review which I encourage you to read. Personally, I learned considerably from amusing myself with the reading it.